1. 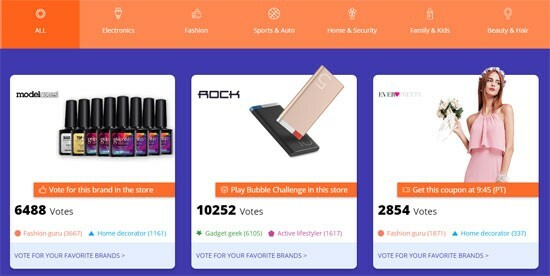 Vote for your favorite brand and get a US $2 AliExpress Select Coupon (one per day). 2. Share your favorite brand with friends and get an additional US $2 AliExpress Select Coupon (one per day). 3. Play games inside our Top 100 Brands pages between August 17-22. The first 1000 players each day will receive an AliExpress Coupon. 4. Find even more games and surprises to win AliExpress Coupons, Select Coupons and Store Coupons! 5. 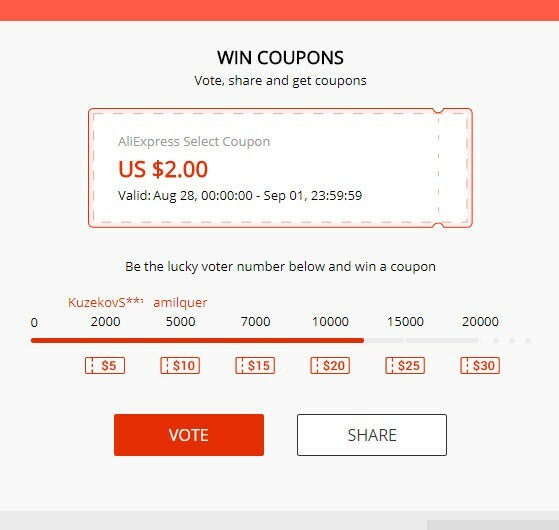 Brands will give out extra coupons by selecting voters based on their voter number. For example, one brand might be giving away coupons to every 100th voter while another brand gives away coupons to every 50th voter. Coupon values and voter numbers may vary per brand.6. If you’ve won a coupon, you can find it under ‘My Coupons’ within 24 hours.